Do you want the best Invisalign braces in Raleigh? Carolina Dental Artsis the right place for the right treatment if you are looking for Raleigh Invisalign treatment! Making the choice between normal braces and Invisalign clear braces is not always an easy one. Our team of experts will help you choose the best orthodontic treatment plan to meet your specific needs. • It allows you to enjoy virtually invisible orthodontic treatment. • You don't have to change your eating habits. • The devices can be removed. • Invisalign allows you to brush and floss your teeth normally. • Devices consist of smooth plastic instead of hard metal pieces. • There are many other benefits to choosing Invisalign. If you are looking for comfort and the best value in Invisalign in Raleigh, come see the pros at Carolina Dental Arts!We offer free Invisalign consultations. We strive to make your experience with us a pleasant one. Our caring and compassionate staff will make sure that each time you visit to our office you get the best service and care possible. Your comfort and health are our top priorities. By choosing Invisalign clear braces in Raleigh, you are choosing the highest quality and most convenient orthodontic system in the world. We know you'll be satisfied when you come to Carolina Dental Arts. 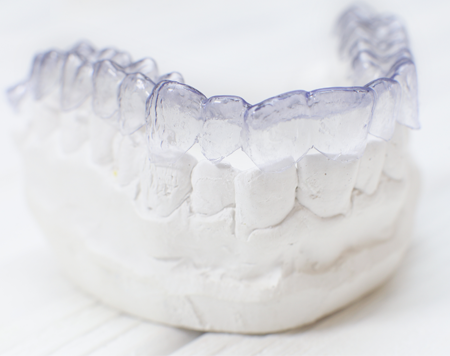 Contact us today for more information on what Invisalign clear braces can do for you. We are proud to serve Raleigh, North Raleigh, Cary, Morrisville, Knightdale, Durham, Garner, Apex, Holly Springs, and RTP.